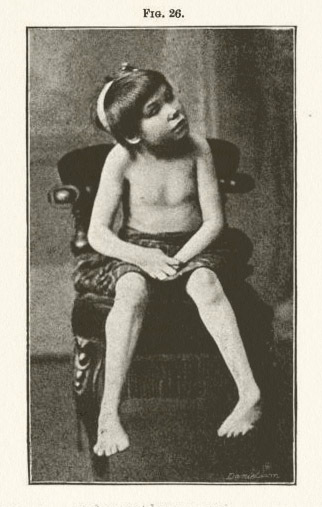 A case of spastic diplegia in a child the subject of congenital syphilis. Description : pp. 308-310 ; ill.: 1 photo. ; 22 cm. Photograph : clinical portrait, in-text (unverified). Subject : Congenital syphilis — Complications; Spastic diplegia. Author caption: By CHARLES ARKLE, M.D. Exhibited February 22, 1889. Elected Resident Medical Officer to University College Hospital, 1889. Photographer's name inscribed in negative.